Facebook in no way endorses or promotes this contest. It is solely promoted by KiDDS Dental. 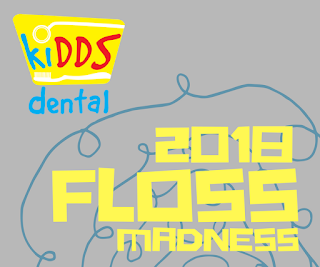 KiDDS Dental's Floss Madness Bracket Contest begins February 15, 2018 and ends March 13, 2018. By submitting a bracket, each entrant agrees to the rules and states that they are 18 years or older. Who may enter: Adults 18 years or older are eligible to complete a bracket. KiDDS Dental will determine the eligibility of each bracket submitted at its sole discretion. Employees of KiDDS Dental and their immediate families (spouse, parents, siblings, children, in-laws) are not eligible to enter. Winner must be available to pick up prize at KiDDS Dental in Liberty Lake, WA by April 13, 2018. How to enter: Go the the KiDDS Dental Facebook page and click on the Floss Madness tab. Follow the prompts there to complete your bracket. Entrant must complete the entire bracket to be considered a successful entry. 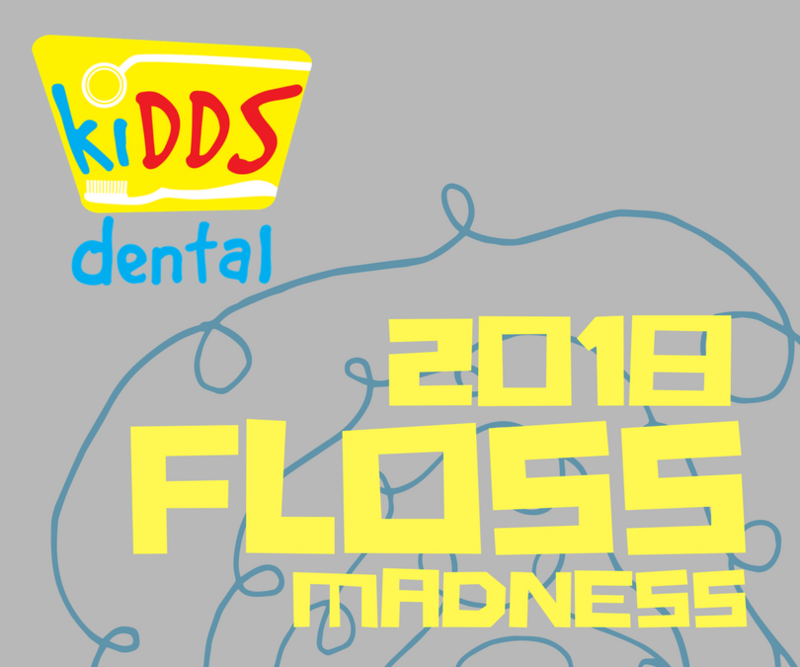 How to win: Members of the KiDDS Dental team will participate in "Floss Races" according the the bracket assignments posted. Contests will run March 14, 2018 through April 2, 2018. Points will be distributed based on correct predictions at each bracket level. Judging: The entrant with the most points will be the winner. In the case of multiple entrants sharing the same high score, those entrants will be entered into a random drawing. Winner will be notified on or before April 6, 2018. Odds: Actual odds of winning depend on the number of eligible entries. Decisions: By entering into the promotion, entrants agree to abide by and be bound by these official rules, and to accept the decision of KiDDS Dental as final. Entrants also agree to hold KiDDS Dental harmless from any liability arising from participation in this promotion. KiDDS Dental is not responsible for entries not received because of technical difficulties. KiDDS Dental reserves the right to disqualify any entrant who fails to follow these official rules or uses fraudulent means in participating. If for any reason this promotion is not able to be conducted as planned, KiDDS Dental reserves the right to cancel, terminate, modify or suspend this promotion and randomly draw from the entries received up to the cancellation/suspension date. Prize: The entrant deemed the winner will receive a certificate for two to Mica Moon Zip Tours valued at $225. Winner must be available to pick up prize at KiDDS Dental by 4 PM on April 13, 2018 or prize will be forfeited. Winners must sign a media release and will be responsible for paying any taxes they may owe on a prize. Publicity: Winner agrees to permit KiDDS Dental to use his/her name and likeness in promotional and other KiDDS Dental materials, without additional compensation or permission, except where prohibited by law. This promotion is void where prohibited.